Having Strawberry Nutella Waffles is a sweet, chocolate-y and fresh way to start the day. 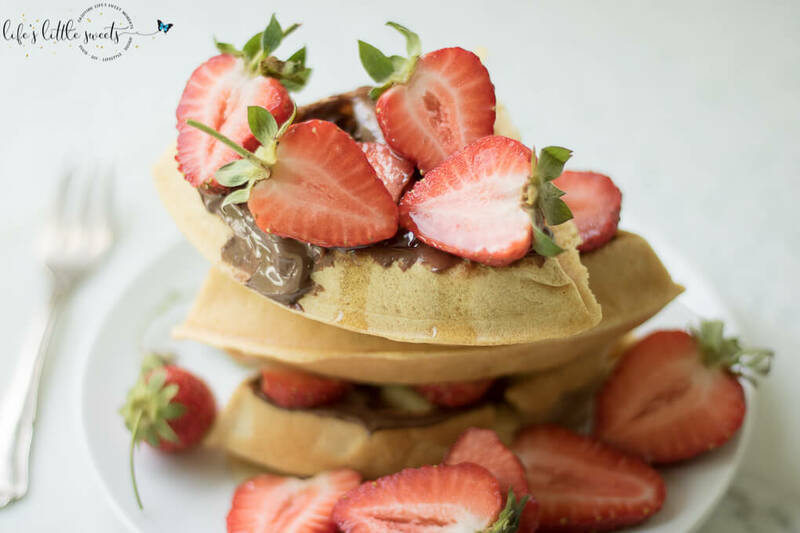 Be it a weekday or family brunch, this pleasing combination of fresh strawberries, hazelnut-chocolate and maple syrup flavors with freshly made waffles is sure to please. Make waffle batter according to instruction on the box. Cook waffles using the time on your waffle iron (mine is 3 minutes 30 seconds). Spread waffles with Nutella, top with sliced strawberries and drizzle with maple syrup. Enjoy!